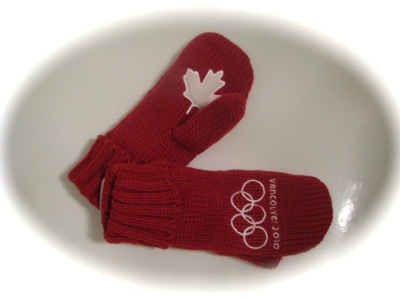 I scored not one, but two pairs of the prized red mittens that have become the signature accessory of the 2010 Winter Olympics in Vancouver. Word has it that another shipment will be arriving at the official Olympic Superstore in Vancouver, located at Hudson's Bay Company. And there's no shortage of media in town; I was up there for two days, and the streets are crawling with reporters, bloggers, photographers and camera crews. Before joining NBC News, Tibbles was a national correspondent for the Canadian Broadcasting Corporation (CBC), where his coverage experience included the fall of the Berlin Wall and the first Gulf War. He holds a Bachelor of Arts degree in journalism from Ryerson University in Toronto.